We’d love your help. Let us know what’s wrong with this preview of Akela by Ryan Uytdewilligen. When Akela is separated from his migrant soulmate, Kalea, he will do anything to be reunited with her. Journey with this charming and neurotic sea turtle as he crosses paths with celebrities, politicians, and other moments in history with unbreakable Forrest Gump meets Woody Allen in this endearing story about a sea turtle seeking to be reunited with the love of his life. To ask other readers questions about Akela, please sign up. Many thanks to NetGalley and BHC Press for this delightful ARC. Over time our hero encounters great dangers, tragedy, melancholy, stretches of boredom during his adventures. The story is at times heartwarming, and sometimes heartbreaking, as he strives to find his mother, discovers he has a brother far away, and longs to return to the love of his life. He encounters dreaded enemies, is uplifted by friendships of various species during his journeys. I must mention that this fascinatin 4.5 stars. 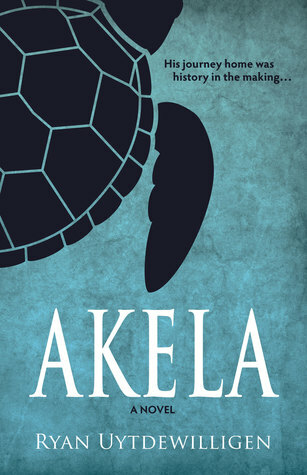 I must mention that this fascinating hero, Akela, who narrates the story begins as an undersized, weak sea turtle who lacks self confidence. During his lengthy travels he develops a philosophy of how he and other animals and humans should live a better way of life. He encounters Presidents, very famous celebrities, and learns about historical events ( and often his place in them) from watching TV. He also learns to read from television, and puts his interesting life story into this book. Needless to say, his travels, and the animals and people he meets over the decades have caused great changes in Akela. I'm not sure where to start so I'm just going to spit it out: some of the things that happened were unbelievable and the constant philosophizing annoyed me. After being separated from the love of his life, Akela spends a good portion of his life trying to get back to her. The things that happen to him get more and more fantastical as the story goes on. Am I really supposed to believe he caused Watergate? Also, there are animals that have sworn off eating meat. Akela has way too much self reflectio I'm not sure where to start so I'm just going to spit it out: some of the things that happened were unbelievable and the constant philosophizing annoyed me. Akela has way too much self reflection. Dropping wisdom every page isn't really needed and gets tired at times. Just telling his story is enough. His constant pining for his love doesn't come across as romantic, its just whiny. This is an epic, heartwarming story about a hero who journeys into the unknown to reunite with the love of his life. If you're a romantic old soul looking for a psychedelic read, packed with historical events, and the underwater version of Forrest Gump, this is the perfect book for you! I loved every beat of Akela's adventures throughout the centuries, as well as his inner philosophical thoughts about his life-changing experiences. An interesting story with some Gump-like aspects. This kind of story, from an animal's perspective, can be very tricky to pull-off, but I thought the author mostly achieved his goal successfully. This book will not be for everyone due to the amount of suspected-belief required. But I liked the narrator, and the story overall. If you're seeking a light story with some adventure and humor, this might fit the bill. Thanks very much for the advanced copy for review! This was an odd one for me. Its like half a philosophical outlook on life... Half a story about a turtle.. Half... Something else? We experience Akela the turtles life, from birth onwards. The trials of being a turtle. Which is a pretty cool idea, but I'm not sure it translated. The voice of Akela is a bit whimsical and too forthright? I'm not sure how to describe it. But it didn't feel like it fit the character. I also found the more fantastical events that happen to Akela too farfetched, and it This was an odd one for me. Its like half a philosophical outlook on life... Half a story about a turtle.. Half... Something else? I also found the more fantastical events that happen to Akela too farfetched, and it really threw me out of the zone - I couldn't suspend my disbelief when it comes to him typing, for example. Ryan Uytdewilligen was born in Lethbridge Alberta and raised on a farm just north of the city. It was there that his family and surroundings would give him countless stories and inspiration for novels and screenplays. He grew up participating in 4-H as any good country kid should and graduated from Kate Andrews High School with aspirations to write and perform. He studied Broadcast Journalism at Lethbridge College which led to several years as a reporter, freelance writer and blogger, On Air Traffic News Anchor, Media relations for the Vancouver International Film Festival, and a copywriter for various radio stations. He made the move to Vancouver in 2014 to pursue creative writing, studying film and television at Vancouver Film School. Ryan sold his first screenplay in 2015 to Look to the Sky Productions. The script is currently in development and led the company to hire Ryan to write two separate scripts for development. In 2016, Ryan published two books – the first a nonfiction film history called 101 Most Influential Coming of Age Movies through Algora publishing. His second book and first fiction work was released in mid September, a young adult novel called Tractor through Sartoris Literary. Ryan continues to write screenplays, novels, and nonfiction works. He has written and produced two short films, Tea Time (2014) and Even the Devil Swiped Right (2015), written sketch comedy for the Vancouver stage and television show Unfiltered, and has given creative writing lectures at Oklahoma State University, Vancouver Film School, and other media outlets. He hopes to have his second fiction novel released next year and get one of his features into production.